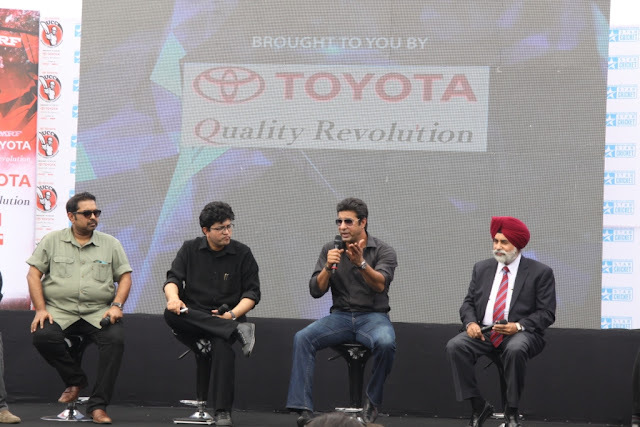 Toyota Releases Toyota University Cricket Championship Anthem- "Ab Hamari Baari Hai"
Toyota Kirloskar Motor Pvt. Ltd. announced the release of the anthem of Toyota University Cricket Championship (TUCC). The official song of TUCC, "Ab Hamari Baari Hai" is worded by the famous lyricist and song writer,Prasoon Joshi to an adaption by the musical trio of Shankar Ehsaan-Loy (Shankar Mahadevan, Ehsaan Noorani and Loy Mendonsa). The TUCC anthem has been sung by Shankar Mahadevan. "Ab Hamari Baari Hai" is a passionate expression that creatively captures the sense of discovering a platform where aspiring young cricketing talent get to prove their mettle and stand tall in front of the nation. It literally means, "It's our turn next". Blending the sounds of sport and music, the TUCC anthem encapsulates the very essence of encouraging university level cricket for the aspiring youth. Present on the occasion of the launch were many important guests and dignitaries including the musical trio of Shankar, Ehsaan and Loy, famous lyricist and song writer, Prasoon Joshi, former cricketer, Journalist, Harsha Bhogle, along with Mr. Sandeep Singh, DMD and COO, Marketing & Commercial, Toyota Kirloskar Motor and Dr. Prannoy Roy, Founder and Executive Co-Chairperson of NDTV. Speaking on the occasion, Mr. Sandeep Singh, DMD and COO, TKM said, "We are very happy to be a part of TUCC as it encourages and promotes young cricketing talent in India. The very essence of TUCC which is to nurture and promote young cricketing talent and provide national exposure to extraordinary sporting talent has been rightly captured in the TUCC anthem. The words of the anthem have been very aptly penned by Prasoon while the music adaptation by Shankar-Ehsaan-Loy creates a sense of passion to win and emerge". As part of this championship, Coca-Cola Coaching camps with seasoned cricketers underway for University Teams. After camps with Venkatesh Prasad, and Robin Singh, camps are coming up in Mumbai and Delhi. Deepak Jolly, VP Public Affairs and Communication Coca-Cola India and South West Asia said "At the outset I would like to congratulate all the eight participating teams, they have had a tremendous journey so far and we look forward to some great cricket from them. Today, we are giving voice to the spirit of the sport -this anthem puts into words the zeal, enthusiasm and commitment of our players and the fervent ardor of cricket enthusiasts across the country. It is the love of the sport which has brought us all together here today. As we look forward to an exciting journey with TUCC, this music will resonate the passion of our players. 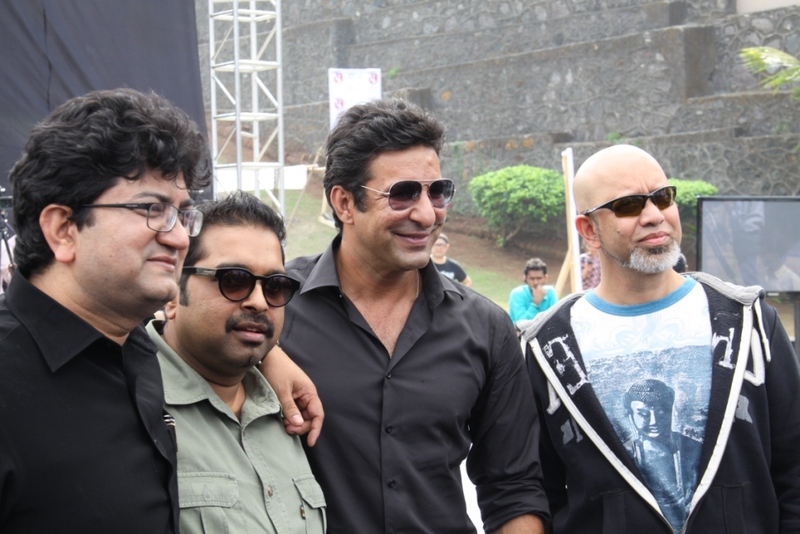 I would like to thank Prasoon Joshi and Shankar, Ehsaan and Loy for bringing to life the excitement and fervor of the game through their music." Mr Koshy Varghese, Executive Vice President, Marketing & Sales, MRF said on their association with TUCC, ‘For many years now MRF has been nurturing talent at our PACE academy and probably we are one of the first corporates to invest in promoting new talent in a big way when it comes to the cricketing world. Many great cricketers like Brian Lara, Sachin Tendulkar and Gautam Gambhir etc. have been associated with our initiatives. Also world cup winning bowlers like Sreesanth, Zaheer Khan and Munaf Patel etc. have been involved with our PACE academy which is currently being headed by Glen McGrath, the Australian legend. Therefore, we find this initiative a natural fit with our company’s passion towards promoting world-class talent. 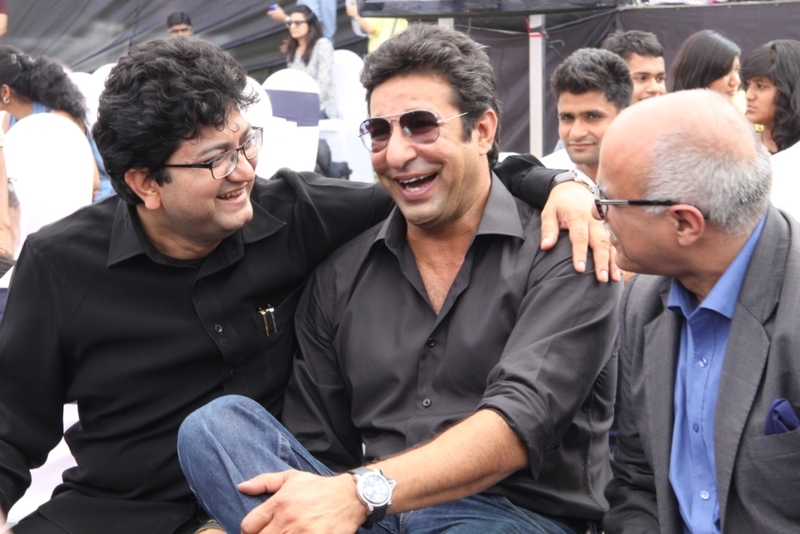 The event was hosted by India's leading commentator, Charu Sharma. 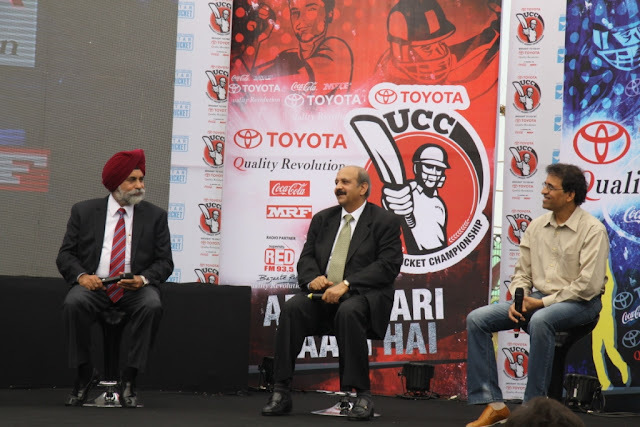 Toyota University Cricket Championship was launched last month in association with the Ministry of Human Resource Development (HRD), the Association of Indian Universities (AIU) andNDTV. Coca-Cola and MRF are the associate sponsors of the championship.